For many students, the titles “adjunct, temporary faculty and full-time NTT (non-tenure track)” mean little or nothing. Your professor is your professor, whatever their status. You trust Loyola has done its best to employ the best instructors to provide the quality education you’re paying for. But, while those titles might not mean anything to you, they’re important to those of us, your professors, who bear the economic burden which accompanies each of these titles. When I first started teaching at Loyola in 2004, I was an adjunct. At the time, Loyola was among one of the lowest-paying colleges for adjuncts, but I held the mantra, “beggars can’t be choosers.” I took the position out of necessity, and Loyola employed me because I was cheap at the price. However, regardless of how little I was being paid, the cost of tuition continued to rise quite dramatically. From the precarious position of adjunct, I graduated (pun intended) to a temporary faculty member, a title that brought with it much needed health care, and, ironically, greater stress. Since my temporary status was dependent on “soft money,” a future at Loyola became highly unpredictable. Year to year, I lived with a constant feeling of financial insecurity. And, after three years of nail-biting stress, I was lucky to land a more stable position as a full-time NTT. It’s now 2018, and my status (NTT advanced lecturer) is as secure as it could be and, yet, it’s not. In 2015, I, along with hundreds of other adjuncts, temporary faculty and NTTs, decided to unionize to improve our work conditions and create greater job stability. Loyola responded by trying to dissolve our union. 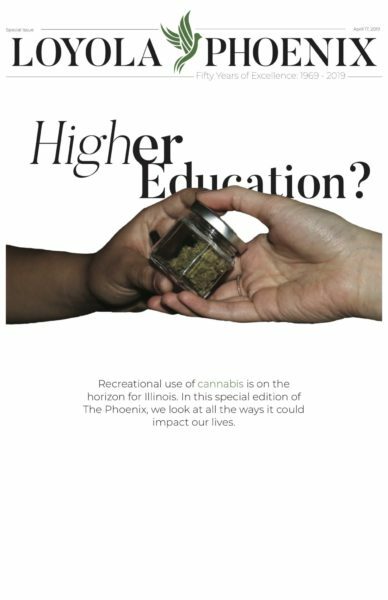 On two occasions, the university’s administration tried to have our legal rights absolved — and failed. Coming from Northern Ireland and having lived through the worst of the Troubles (Google it), I was surprised by the administration’s lack of empathy toward its employees. Instead of asking why we wanted to unionize, or why we needed to have a union to protect our interests, they opted to silence our collective voice. 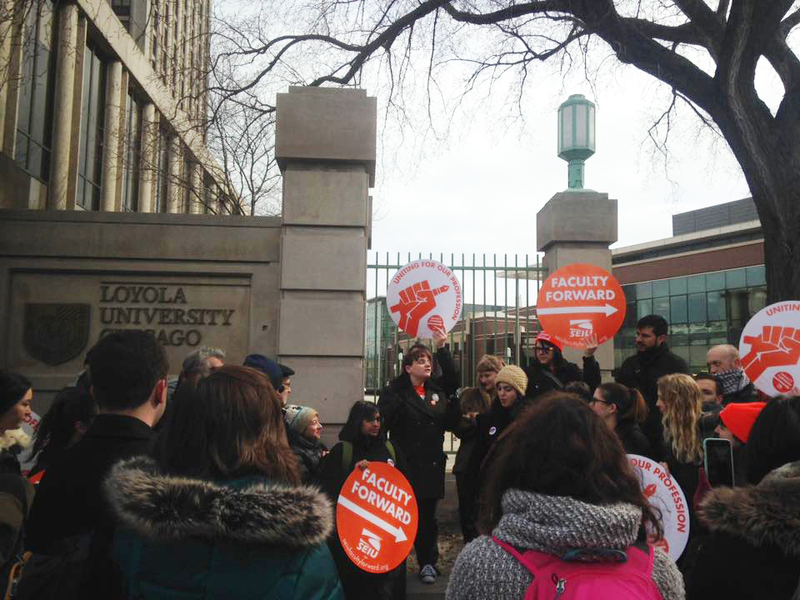 Since then, we, the unionized faculty, and the university have been working toward a fair and equitable contract. This process is now in its 22nd month, and in that time, we, the union, have submitted to the university proposal after proposal with little to no meaningful feedback. It should be noted that the university’s lack of concern for its faculty is completely out of sync with Pope Francis, who refers to unions as “prophetic institutions.” In the pope’s opinion, unions humanize its corporate profiteering by making us fully human. The union empowers those who feel powerless and provides a voice to those who feel silenced. We are told it’s intrinsically tied to the cause of social justice and, yet, when it comes to dealing fairly with its own unionized faculty, the mission fails to translate into action. In 22 months, we have achieved nothing. As someone who’s been involved in bargaining sessions from the beginning, it’s disappointing to think all of this time has brought us to a dead end. In its negotiations, Loyola sets the bar low. The economic proposal offers little reward to faculty. Instead of leading the way, and becoming a catalyst for transformation by offering real signs of humanizing the process, the university aims to maintain the status quo. Next time you’re in class, ask your professor what their title is. If they’re an adjunct, they won’t have had a raise in over a decade. Loyola won’t offer its adjuncts more than four courses, since this would entitle adjuncts to health care. These professors are forced to work multiple jobs and are, more often than not, living on the breadline. Should your professor be in a temporary position, they live from year-to-year on a contract with no guarantees. If, like me, your professor is a full-time NTT, they most likely are in fear of reprisal for unionizing. They’re expected to keep abreast of academic scholarship, while having a full teaching load and lacking job security. If your tuition costs continue to increase, you can bet it’s not going toward improving the welfare of adjuncts, temporary faculty or full-time NTTs. I was department chair at a public university in South Carolina when we (the deans and chairs) decided together to let adjuncts teach 4 and get healthcare. I’ll say that again–a public in red state South Carolina. Why can’t a Jesuit Catholic university getting so much national attention do at least what a small public university in a red state did six years ago? Get this right, Loyola. The economics of higher education are bad for everybody. But this seems like it should be something you can get on the right side of.